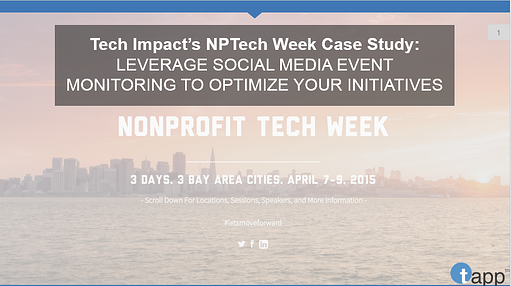 Download our case study, detailing how social media promotion was used to increase registration for and attendance at Nonprofit Tech Week, an event run by the nonprofit service provider Tech Impact. © 2015 Tapp Networks, LLC. All Rights Reserved.